Teflon is best known for its extreme non-reactivity, making a Teflon hose a useful and versatile product when low reactivity and high resistance is needed. 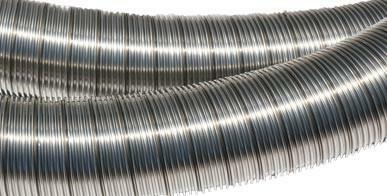 A flexible duct is used for many applications. Read this article for frequently asked questions and important considerations for ducting applications. 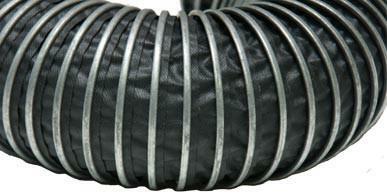 A flexible hose can be made from one of many different materials, all with different qualities. Read our simple guide to the various material pros and cons. 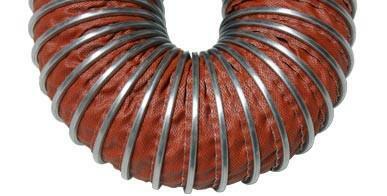 There are many factors involved in flexible duct sizing. This guide will provide easy answers to help you determine the best flexible duct sizing for you. 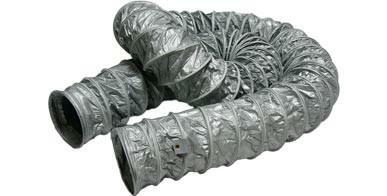 Flex ducts are used for general purpose air, fume, and material applications. Read this to learn about the three best hoses to use for general purpose jobs. Need a flexible hose for a specific application, but don't know where to start? Take a look at some of our hose recommendations for various applications! 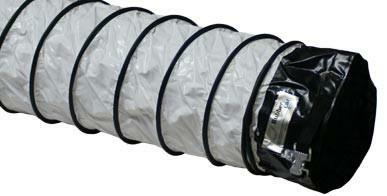 Explore all the qualities offered by a teflon hose. 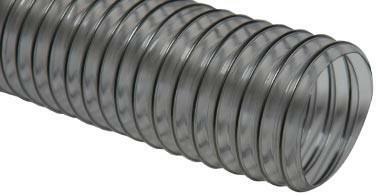 From chemical resistance to high-temperature performance, a teflon flexible hose is a great investment. Stainless steel's resistance to heat and corrosion make stainless duct hoses the ideal choice for high temperature roles requiring superior resistance. 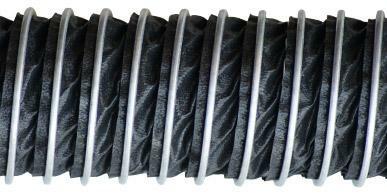 A high temperature silicone hose can handle temperatures up to 550°. 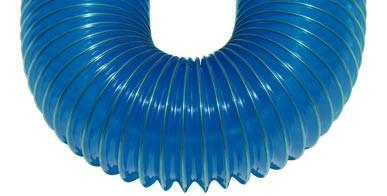 They are must-have components for applications involving channeling extremely hot air.